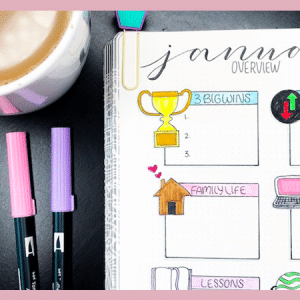 Snag this fun citrus themed printable monthly bullet journal setup including a calendar, habit tracker, mood tracker, and 2-page weekly spread. August is one week away and if you are anything like me, you haven’t even started your monthly spreads. I know the struggle. I’m still trying to figure out what the hell I’m doing. But, some of you may know that I recently bought an iPad Pro 12.9 and an Apple Pencil. Seriously, it’s felt like Christmas ever since. Best investment for my business and for my own creativity that I have ever made. And with said iPad, I am hoping to be more consistent with creating free printable content to add to the VIP Resource Library. 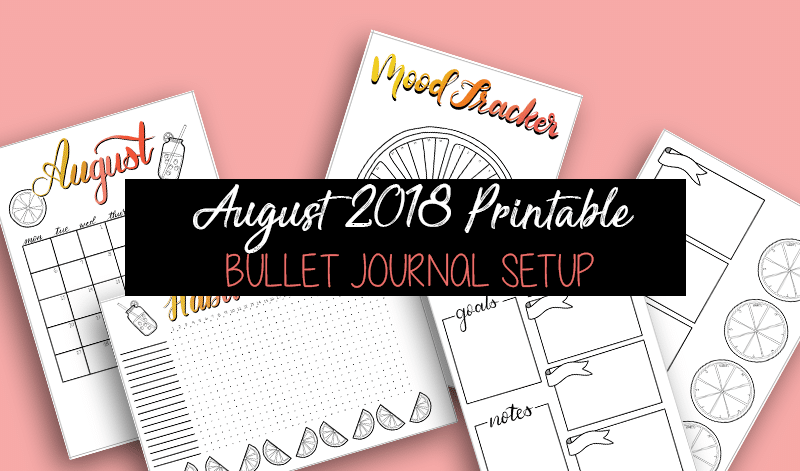 And to kick it off, I’ve created a very summery and fun printable monthly bullet journal setup for August. 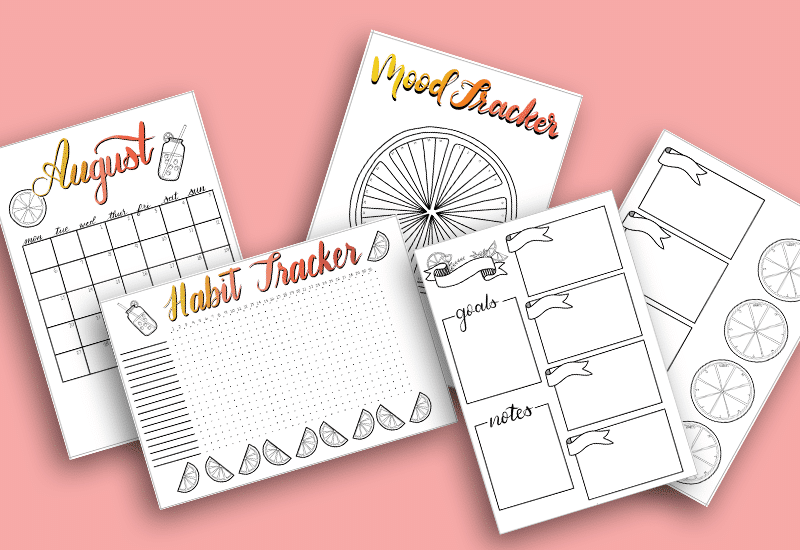 This printable bundle includes a monthly calendar, habit tracker, mood tracker, and a 2-page weekly spread. The headers on these pages are in color, but you can print them off in black and white if you don’t like the color scheme. While the calendar is specific to August 2018, you can reuse the habit tracker, mood tracker, and weekly spread again and again. All you have to do to get the PDF download instantly is sign up below. This signup form adds you to my email list (which I use infrequently… not a spammer). But, the best part is that your welcome email will contain a password to the Free VIP Resource Library where you will have lifetime access to all of my free content. If you are already a VIP Member, just head to the VIP Resource Library and enter the password provided in your welcome email. I hope you guys like the citrus theme I have created for this month. In following months, much like I do that Ooodles of Doodles Challenge Poll, I would like to do a poll for monthly themes. to add them to your bullet journal pages.
. This is the easiest method I have found and likely the most efficient if you use printables often. However, if you don’t regularly use printables, I wouldn’t want you to spend money on full sheet sticker paper that you may never use. Fill out the form below. Once you click ‘subscribe’ you will be directed to an instant download of the PDF document. Once the document is downloaded, print it out on a paper of your choice. 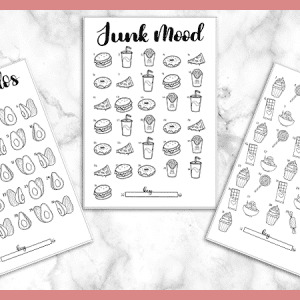 Glue or tape your printables into your bullet journal. 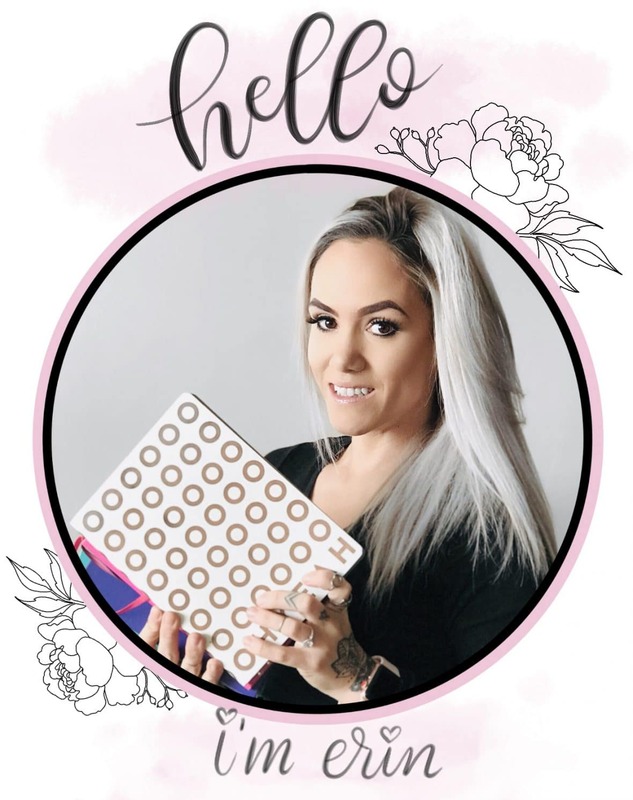 Be sure to check your email for a Welcome Message from The Petite Planner. This email includes the password to the VIP Resource library so that you can access all of my free content any time, forever. Be sure to write it down or save the email. If you are on Gmail, be sure to check your spam folder. It’s not uncommon for emails from blog newsletters to be sent to your spam folder. Enjoy all the freebies and stick around for lots more to come! 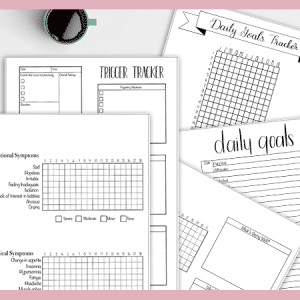 Have suggestions or requests for future printables to be featured on The Petite Planner? Let me know in the comments below.